Johann Josef Loschmidt (1821-1895). Bohemian chemist and pioneer of physical chemistry. 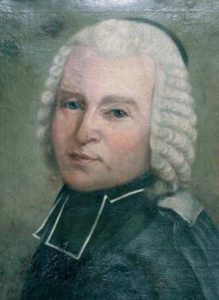 March 15 is Johann Josef Loschmidt’s birthday. Loschmidt was a Bohemian physical chemist best known for determining the size of air molecules. Some could argue he was the first to suggest molecules could be formed by rings of carbon atoms, like benzene. His work would influence many other scientists who laid the foundations of statistical thermodynamics. Early in the 19th Century, Gay-Lussac showed when two volumes of gas combine chemically, the resulting volumes of the gases are an integer ratio of the initial volumes. This lead Amedeo Avogadro to postulate the number of molecules was proportional to the volume of the gas at a particular pressure and temperature and was the same for any gas. Finding this proportionality constant became a target for chemists around the world. Determining this constant required making several assumptions, the foremost being the actual size of a gas molecule. Loschmidt tackled the problem of determining the average size of an air molecule. He manipulated the ideal gas laws to include Boltzmann’s kinetic theory and Clausius’ work involving the average free path between collisions between molecules. He estimated the if the gas were to condense to a liquid and all the molecules in the gas collected together, the mean free path would be proportional to one eighth the diameter of the molecules. The proportional constant was the ratio between the volume of the gas and the volume of the gas’s liquid form. Loschmidt called this constant the ‘condensation coefficient’. To find these volumes, the density of air was used. Immediately, Loschmidt had two problems. The first, nobody knew the density of liquid air. It would be another 12 years before someone would liquefy nitrogen. The second problem was the need for an accurate value of the mean free path of air. Basically, there wasn’t one. Loschmidt used values he determined as his best guess and ended up with a calculated value for the diameter of air molecules twice the actual size. The formulas he used could be rearranged to solve for the number of molecules per unit volume, also known as the number density, of an ideal gas. This number is known today as the Loschmidt constant. When Loschmidt calculated this value, he got a value of 1.81 x 1024 molecules/m3. The accepted value today is 2.687 x 1025 molecules/m3. Pretty close for making assumptions for most of the necessary variables. This number was used to give the first approximation of Avogadro’s number. In fact, in some older German chemistry textbooks, Avogadro’s number is often called Loschmidt’s number and would cause confusion between Loschmidt’s constant and Loschmidt’s number. Some chemistry scholars point to Loschmidt’s chemistry text Chemische Studien for evidence that Loschmidt theorized the ring structure of benzene and other aromatic organic molecules. He drew structures of nearly 300 different chemicals where molecules were connected by circles representing atoms. In the place of benzene, he had a large circle to represent the benzene center for those molecules. Whether or not he believed the structure was a ring or just ‘unknown’ is a matter of debate. The text was published four years before Kekulé would announce his discovery of the ring structure of benzene. If you’d like to judge for yourself, Google Books has a scanned copy of Loschmidt’s book. The text is obviously in German and unfortunately, the structure section is poorly scanned. The style of the structures can easily be seen. Josef Loschmidt could have been the household name given to Avogadro considering he gave the first real value to Avogadro’s number. 2004 – Discovery of Sedna announced. Sedna as seen by the Hubble Space Telescope. Astronomers announce the discovery of the planetoid Sedna. 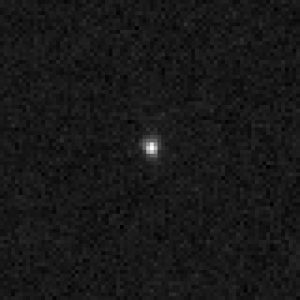 Sedna, named after the Inuit goddess of the northern oceans, has become the most distant object identified in our solar system. The aphelion of Sedna’s orbit is estimated to be 937 AU from the Sun or about 31x the orbit of Neptune. Its perihelion is 76 AU or 1.3x Neptune’s orbit. Sedna takes approximately 11,400 years to complete its orbit. Sedna was first observed by Michael Brown, Chad Trujillo, and David Rabinowitz on November 14, 2003. 2004 – John A. Pople died. 1962 – Arthur Holly Compton died. 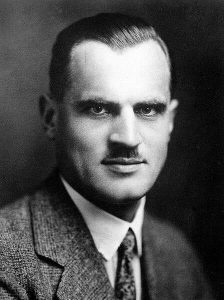 Compton was an American physicist who was awarded half the 1927 Nobel Prize in Physics for his discovery of the Compton effect. The Compton effect occurs when x-rays interact with matter and transfers part of that energy to a single electron. This energy transfer excites the electron to a higher energy state. When the electron returns to its ground state, a photon is created and transmitted in a definite direction based on the incident energy’s direction. 1952 – Nevil Vincent Sidgwick died. Sidgwick was an English chemist who contributed to the valence theory of chemical bonding. He explained valence’s role in covalent bonding in his book The Electronic Theory of Valence. Many of his theories were incorporated into the VSEPR (Valence shell electron pair repulsion) model of bonding and molecular geometry. 1934 – Davidson Black died. Black was a Canadian paleoanthropologist who is best known for his discovery of the Peking Man fossils, thought to be an early descendant of man. The fossils would later be called Homo erectus pekinensis. Many of Black’s bone specimens were lost to mishandled shipping while trying to save them from the upcoming Japanese invasion of China. When the Japanese took control of the area, his laboratory was ransacked and the remaining samples were confiscated. Their current whereabouts are unknown. 1930 – Martin Karplus was born. Karplus is an Austrian-American chemist who shares the 2013 Nobel Prize in Chemistry with Michael Levitt and Arieh Warshel for their development of multiscale models for complex chemical systems. Their models form the basis for many of the computer modeling software used to predict chemical reactions for large or biological molecules such as protein-drug interactions. 1930 – Zhores Ivanovich Alferov was born. Alferov is a Russian physicist who shares half the 2000 Nobel Prize in Physics with Herbert Kroemer for the development of semiconductor heterostructures. He invented the heliotransistor that can function at high frequencies and is used in satellite and mobile phone technologies. 1920 – Edward Donnall Thomas was born. Thomas is an American physician who developed the practice of bone marrow transplantation to treat leukemia. This research would earn him half the 1990 Nobel Prize in Medicine. 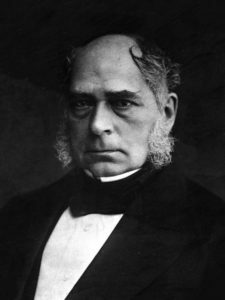 1898 – Henry Bessemer died. Bessemer was an English inventor who developed an inexpensive steel manufacturing process. The Bessemer process involves blowing oxygen through the molten iron to burn off impurities. This process greatly boosted the use of steel in manufacturing and structural engineering. He was a prolific inventor who held over 100 patents. He also made a substantial amount of money exploiting many of his inventions. 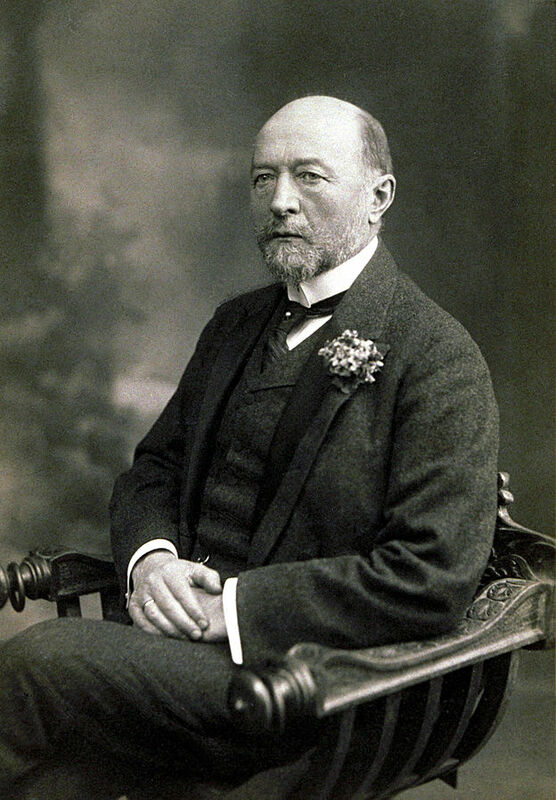 1854 – Emil Adolf von Behring was born. Behring was a German physician who earned the first Nobel Prize in Medicine in 1901 for his serum treatments against diphtheria and tetanus. Diptheria was a serious disease for children and his serum was the beginning of a cure. Tetanus or lockjaw was the leading killer of wounded soldiers. von Behring’s serum was the best vaccine to treat the disease until Descombey’s vaccine in 1924. 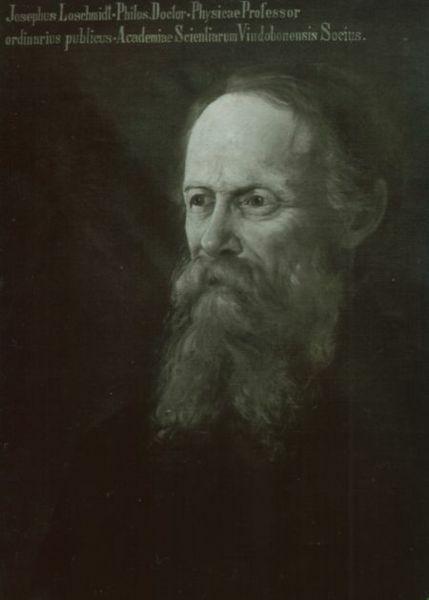 1821 – Johann Josef Loschmidt was born. 1713 – Nicolas Louis de Lacaille was born. Lacaille was a French astronomer who cataloged thousands of southern hemisphere stars and introduced 14 new constellations. He was the first to publish a catalog of stars of the Southern Hemisphere. He also produced a calendar list of eclipses spanning 1800 years. 1614 – Franciscus Sylvius was born. 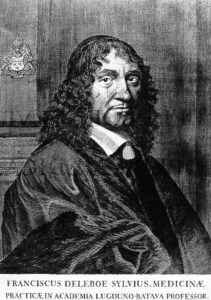 Sylvius was a Dutch physician and educator. He established the Sylvius Laboratory in Leiden University that was the first academic chemical laboratory. He also established the Iatrochemical School of Medicine. It was the first medical school founded on the principles of chemistry and physics instead of the metaphysical humors, phlegm, and bile.